The Doctor and Steven are in a race for time in 1572 Paris. This was a quick read. A nice historical story that didn’t really add to the mythology of the Doctor but a mere filler episode, or at least that’s what I took from the reading. Well, I hate saying this, and I know I’ll repeat this on any lost episode, but seeing this would have been more interesting than reading the story. St. Bartholomew’s Massacre is an interesting piece of history and I felt that the adaptation grazed over the consequences and the historical significance for a thriller story. 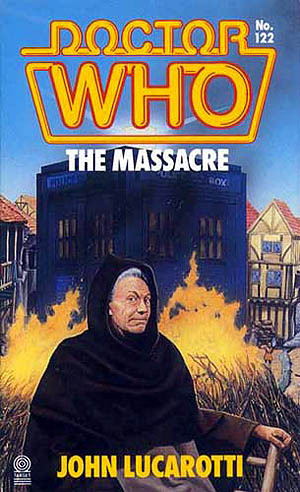 From what I’ve read in the Wikipedia entry, the ramifications of the massacre were shown more than the book version. I wonder about Steven. He really hasn’t been my favorite companion. Granted, it’s not his fault as he had the task of replacing Barbara and Ian, the original (and most beloved) companions. Steven needs someone to balance his character. I’m hoping this will be Dodo in the future episodes. Overall, the story is okay but I wish for a little something more. It is hinted in the book adaptation, not the original telecast, that Dodo is descendent of the family of Anne Chaplet.